Well, only 32, but they’re all the stars within 14 light years of home in a 3d animation so you can tell how relatively far away they are. The lines show whether they’re above or below the ecliptic. Nifty. Whoa, I just noticed that if you point your mouse at a star it will tell you all about it. 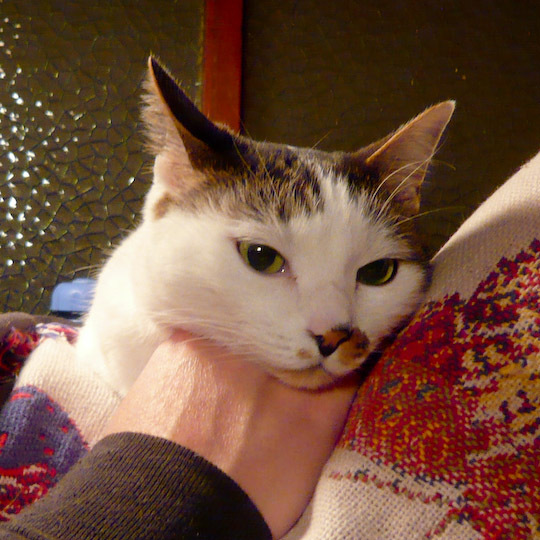 Theo is never happier than when he can tie you down by resting his chin on your hand or arm.